What If There Were No More "Shelters"? Why do we systematically murder some, but not the others? 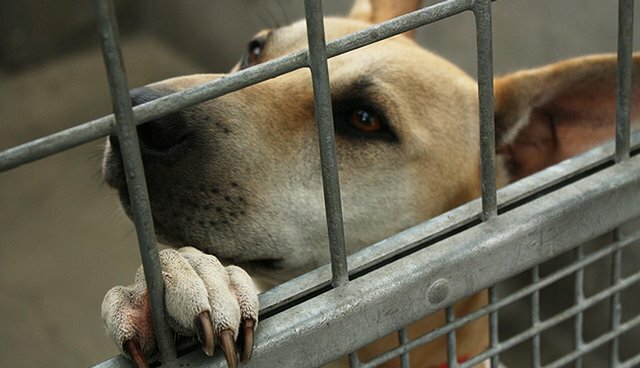 What if we got rid of animal "shelters"? I put "shelters" in quotation marks because most shelters don't shelter animals from anything. They actually kill-or, as they call it, "euthanize"-perfectly healthy, adoptable animals. And your taxes pay for it. Millions of cats and dogs are put down every year. Granted, some government-run shelters have changed to a no-kill policy, which is great. But the fact of the matter is: if they can't all be no-kill shelters, maybe we don't need shelters at all. It's not as scary as it sounds. You say, "But where will all the lost animals go so their families can find them?" Well, hopefully a good animal-loving citizen will pick them up and house them until the owner is found--will post signs, contact the local vet, etc. Or, if the animal isn't lost but is a stray, they will keep it until it can be rehomed. Decent human beings do this already, because they know that no-kill shelters are already filled to the brim and taking the animal to a regular (kill) shelter only increases its chance of dying-not of finding a home. These good citizens also post to their locally-run "lost and found" Facebook pages. There's a whole online network dedicated to helping lost pets. If people use such methods, a physical shelter is unnecessary. Now, I'm not saying that animal control shouldn't be a thing. It totally should. If a dog is in danger or a danger to someone else, they should be called. But good luck with that, because in my home town, as far as I know, it's not animal control that comes out. At best, it's the police. However, there should be no physical shelter that the animal control officers take the animal to. The animal can be removed and placed somewhere else where it is safe. Or, if it is rabid, it can be euthanized on the spot. At this point in the conversation, my father cried, "But this would only lead to people shooting dogs!" As if that doesn't already happen in many places (and just for fun). And yes, it might even increase dog shootings, but at least our tax dollars wouldn't be paying for it. I, personally, would not be financially contributing to the death of millions of animals a year. "But animals need to be in homes, not running wild!" To this I say, they have a greater chance of finding homes if they are in our faces and not out of sight. 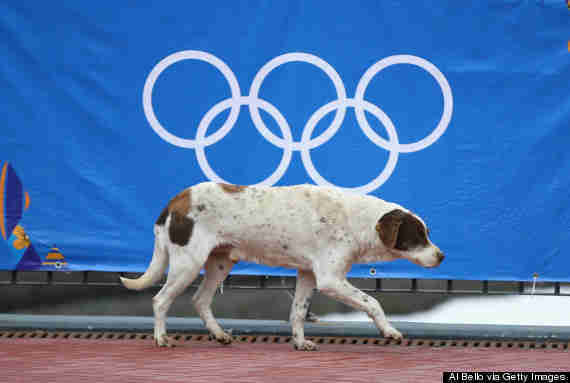 When Americans watched the Olympics in Sochi and saw all the stray dogs, we were forced to deal with the fact that humans don't take care of the problems they've created. But don't think we're any better than the Russians. In the U.S. we merely sweep the pet "homelessness" problem under the rug by stuffing the animals in shelters and killing them when no one is watching. Our system is much crueler, in my opinion. It is because there aren't dogs running down the street or begging at door steps that allows us to pretend there isn't a problem. "Strays" and "homelessness" are not even good excuses to keep shelters around, because not every animal needs a "home." For feral cat colonies, the outside is their home. They are wild, but often aren't treated that way because they are viewed as a non-native species. It's unfair that we force every cat to fit into our "domesticated" standard; most feral cats are euthanized in shelters for being "unadoptable." What's more, killing so many feral cats only creates the vacuum effect, where feral cats from neighboring areas move in and take advantage of the open resources and repopulate it. It only contributes to a cycle of killing. And if killing worked to begin with, then why hasn't the problem been solved yet? Why are we still having to kill cats at all? It's clearly no real solution. Many bird lovers hate feral cats, because they are supposedly hurting endangered bird populations (conveniently overlooking that humans have done more to endanger birds than cats ever could). But instead of pouring all our money into animal control shelters to ineffectively control their populations, why not put money into trap-neuter-return (TNR) and let the cats live out their lives? It seems more effective and humane, to me. Cats and dogs should have the right to roam freely just like any other animal. "But what about those feral cats I don't want under my house? Where will I take them?" 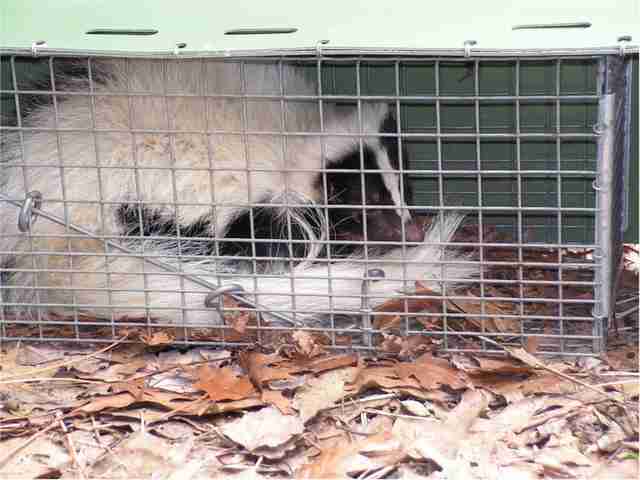 When an opossum, skunk, or squirrel is caught by animal control they aren't put down at the shelter (hopefully). Instead, they are relocated to a more suitable area (the forest, what have you). Cats and dogs should be given the same rights as them. But even then, if the cat or dog is given basic rights to exist freely, the human can just shoo them away like they do to the said opossum, skunk, and squirrel. It's not that hard. An animal is an animal. Why do we systematically murder some, but not the others? We don't need kill shelters. They harm more than they help. The minute an animal steps into a kill shelter, their chances of death-not adoption-go up. It's not helping animals and it's not helping taxpayers. We need to rethink our entire system.